Thanksgiving is a such a wonderful time of the year! It is a great time to spend with friends and family, eat delicious food, watch football and possibly even nap in the middle of the day. There’s so much to celebrate and love about this holiday. However, with all the hustle and bustle going on, Thanksgiving is also a time when many accidents and mishaps occur, especially those within the home. Listed below are just a few of the most common Thanksgiving insurance claims as well as ways to avoid them. Did you know that Thanksgiving weekend is one of the busiest weekends of the year to travel by car? ** If you think about all the people traveling to visit family, this statistic makes total sense. However, with more people choosing to travel by car, the roads are becoming even more crowded and congested resulting in the increased risk of traffic accidents. To avoid the risk of getting in an accident, it is important to make sure that your auto insurance is up-to-date and there to help protect you and your family financially if something were to happen. In order to avoid such kinds of accidents, plan your routes in advance when traveling unfamiliar roads. It is also important to be patient and make sure you allow yourself plenty of time so you are not rushed. Lastly, if the drive is over two hours, consider flying or taking a train. Although driving can be cheaper, the cost of your life may outweigh the financial one. As it turns out, turkey, the signature Thanksgiving dish, is the most common cause of house fires. Think about it: you are visiting with friends and family, become preoccupied and therefore forget about your turkey cooking in the oven. 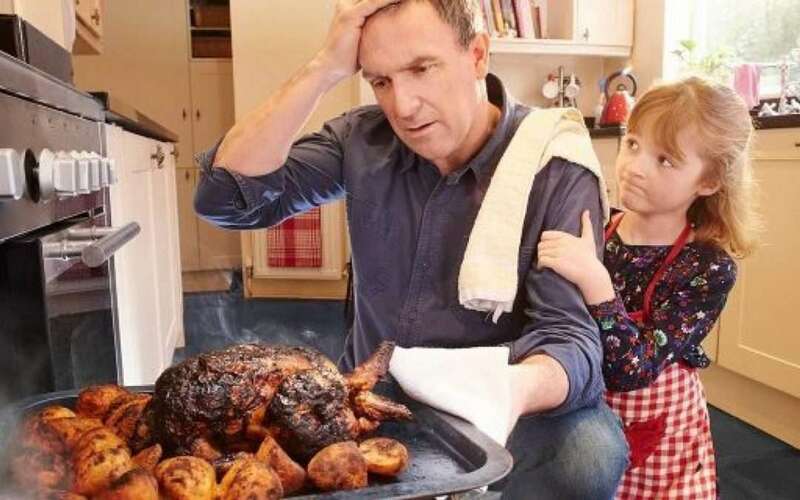 According to the National Fire Protection Association (NFPA), in 2014 Thanksgiving was the most common day for home fires that as a result of cooking. The NFPA noted that there were 1,730 fires on Thanksgiving, which is almost four times the number of fires on an average day and over double the number of fires at Christmas (780). *** No matter how the fire starts or the size, the fire can spread rapidly and destroy your entire house if not careful. This is why it is absolutely crucial to never leave the stove unattended for an extended period of time. You home is probably one of the biggest investments you will ever make, so it is vital to take care of it as well as the people inside. The purchase of home insurance can help provide you with that security and peace of mind. It is important to ensure your insurance policies are up-to-date to prepare for any potential liability issues that can occur this Thanksgiving. Contact us at Penny Insurance because we can help you. Give us a call today to connect with an agent to discuss your coverage options.